Welcome to Anne's Trumpet Studio! Anne Linders has over 13 years of experience as a trumpet player. She has recorded with a wide variety of bands and musicians including Kabomba, Ferguson, MO, Mr. History, Violet and the Undercurrents, the University of Missouri Concert Jazz Band, the University of Missouri Symphonic Wind Ensemble, Robin Eubanks, Bobby Watson, Mike Matheny, Alan Beeson, Arthur White, Mike Maneiri, Skadelic, the Veggie Delights, among many others. Anne is experienced in many genres including jazz, classical, ska, funk, gypsy, folk, indie rock, avant garde, latin, and is open to most other styles and genres. Anne graduated from the University of Missouri-Columbia with a degree in music education. Anne has studied with trumpet greats Iskander Akhmadullin and Allan Beeson. She offers private instruction at reasonable rates. 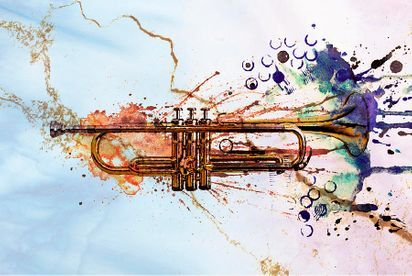 Anne's trumpet program explores the musical interest of each individual student and includes knowledge in trumpet technique, music literature, aural training (ear training), call and response, improvisation, sight-reading, music composition, and music theory.